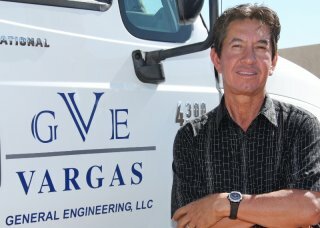 Mr. Vargas is the owner of Vargas General Engineering LLC. With over 30 years of experience in the construction industry, he brings a vast amount of knowledge and expertise to the company. His acquired technical skills, certifications, and years of experience have allowed him to become a certified contractor in several states. Mr. Vargas understands the importance of producing quality work within projected time limits, which has allowed him to become an asset to various employers and government agencies. His passion for construction, along with the desire to prosper through hardships has allowed him to develop and shape Vargas General Engineering, LLC into a company clients can depend on.